Create exciting display settings and optimize your serving space with this contemporary 2 qt. Cambro SFT1010110 black ShowFest triangle serving bowl! The durable Cambro SFT1010110 ShowFest triangle 2 qt. 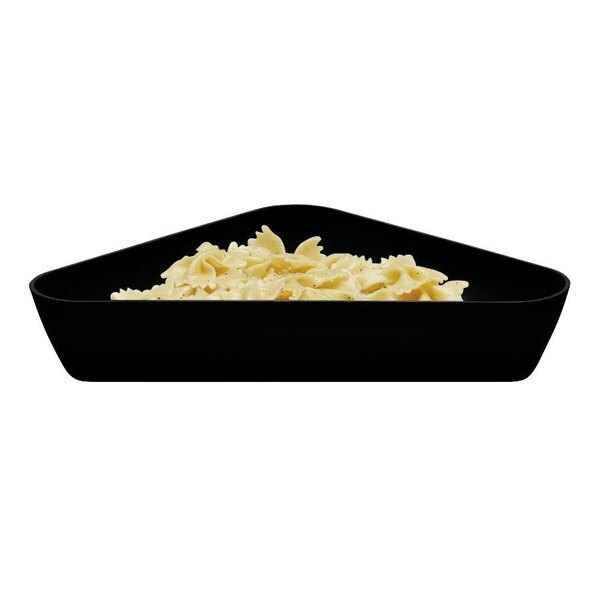 serving bowl is made of impact, stain, and chip resistant SAN plastic, making it ideal for use at busy buffets, banquet halls, catered events, or even supermarkets and delis. I bought these as neat way to serve nachos. I have washed these over and over and still look and work great. They are durable and I would recommend them.